MD Harshbeena Zaveri said unlike its competitors, the company looks at generating more profitability. NRB Bearings, one of the top auto-ancillary companies in India, is in top gear to meet the likely challenges in the field of automobiles and shift towards hybrid and electric vehicles in future, said Harshbeena Zaveri, vice chairman and managing director. "We have a dedicated research and development team working on products required for such vehicles. One such prototype is already ready and we have taken patent for a product that will significantly reduce weight of bearings," she said. NRB Bearings shall be investing 200 crores within the next three years as they have some very ambitious growth plans. Every year the company is bringing out new products and offer customized solutions for its main suppliers, she said. The company has three manufacturing units in Aurangabad and one each in Hyderabad and Uttarkhand, besides a manufacturing unit in Thailand and a marketing unit in Germany. NRB, India's largest needle and cylindrical roller bearings producer, currently makes around 2500 products. NRB is the first Indian component supplier to Audi for engines and its customers include Daimler for Trucks and Mercedes cars, ZF and Getrag (two of Europe's largest Gearbox manufacturers), Honda and Mazda for cars, and every single Japanese two wheeler manufacturer. 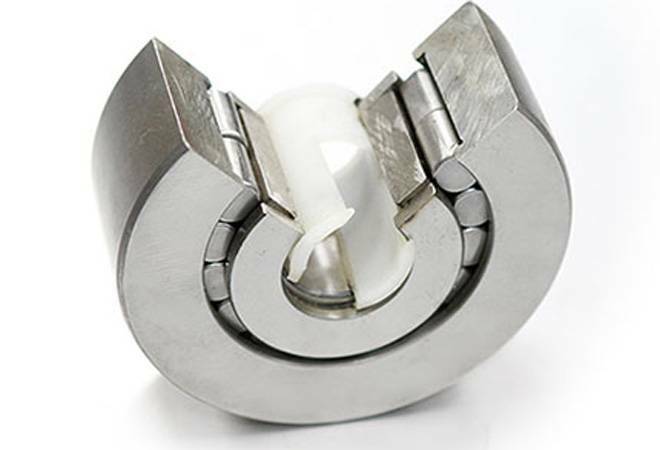 Through ancillaries, NRB supplies bearings for the gearbox of Lamborghini and Maserati. "All the products we currently make may not be required for electric and hybrid vehicles in future, but we are already developing products that will suit automotive transmission systems of future," she said. However, when and how the big change will happen, what kind of support the governments are going to provide in creating infrastructure for such vehicles etc. are going to be important in popularizing such vehicles, she said. She said NRB Bearings, which had a total income of Rs 859 crore last year, had 37 per cent growth in exports to original equipment makers. NRB exports 25 per cent of its production, mainly to Europe and the US. Harshbeena Zaveri said unlike its competitors, the company looks at generating more profitability and had Rs 93 crore profits at the group level in 2017-18, a jump of 75 per cent over the previous year figures of Rs 53 crore.